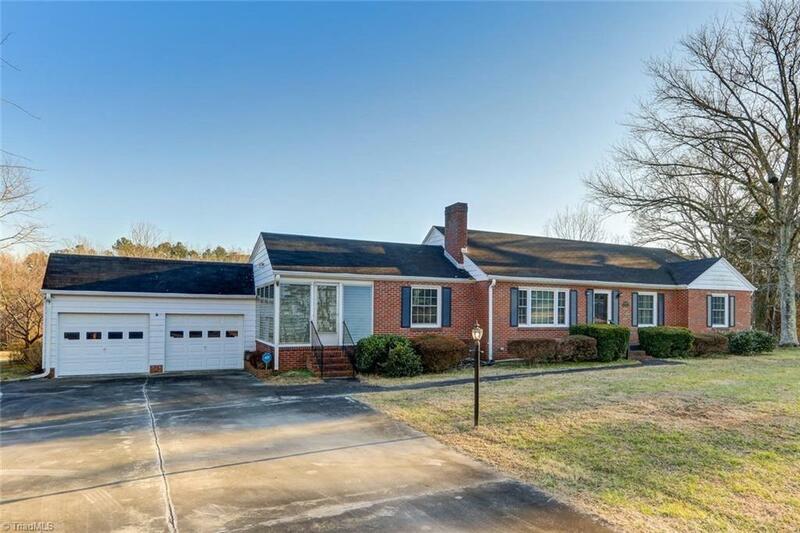 Lovely home with many updates situated on 12.88 acres! Beautiful hardwood floors! New kitchen with stainless appliances. Freshly painted. Large den has gas log fireplace. Workshop area in garage. Vinyl windows. Electrical updates. Some plumbing updates. New well. Enclosed porch. Beautiful land with road frontage on Blanch Road and Crooked Road. This house is a MUST see!